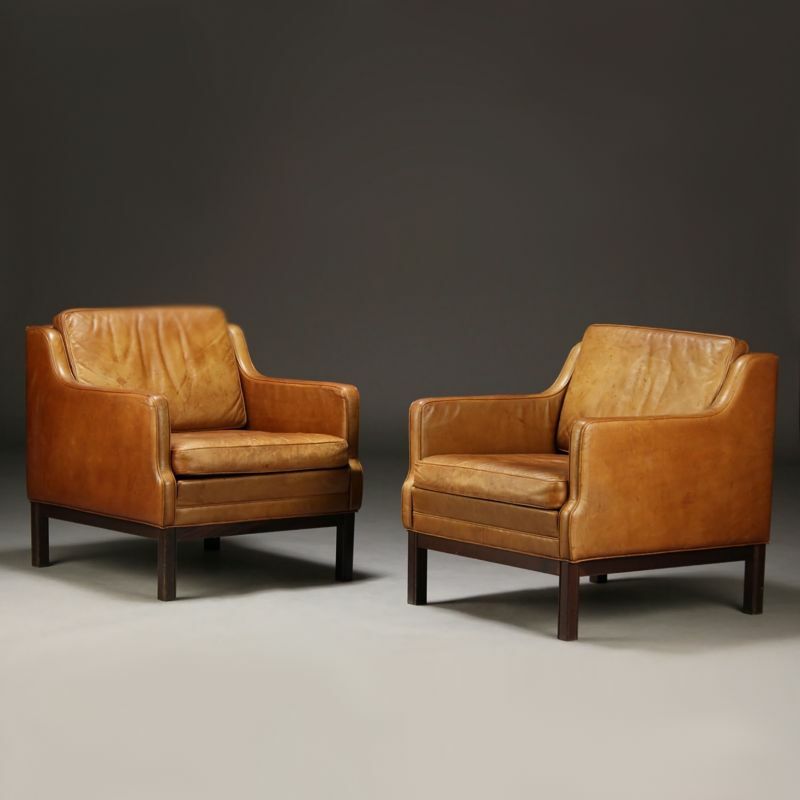 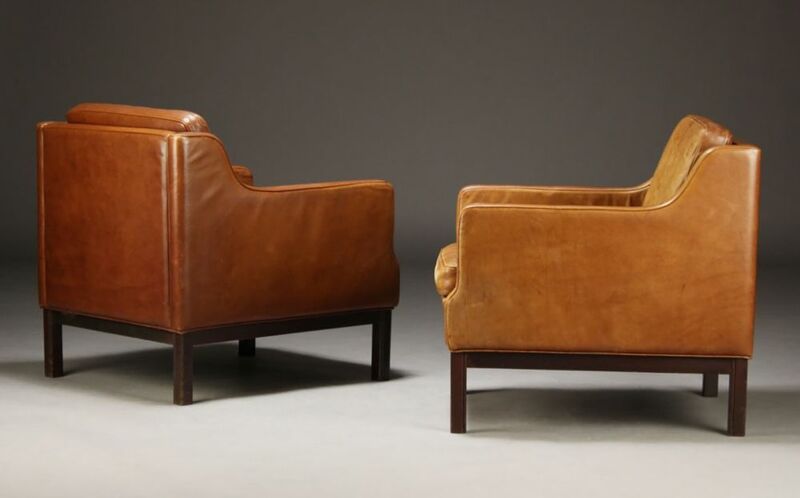 These armchairs were made in Denmark, probably in the 1970s. 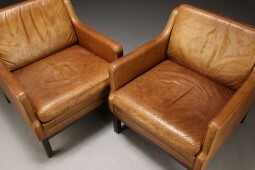 The design is by Borge Mogensen from the early 60s. The light tan, ochre coloured leather has a well used look and has developed fantastic character and patination over the years. 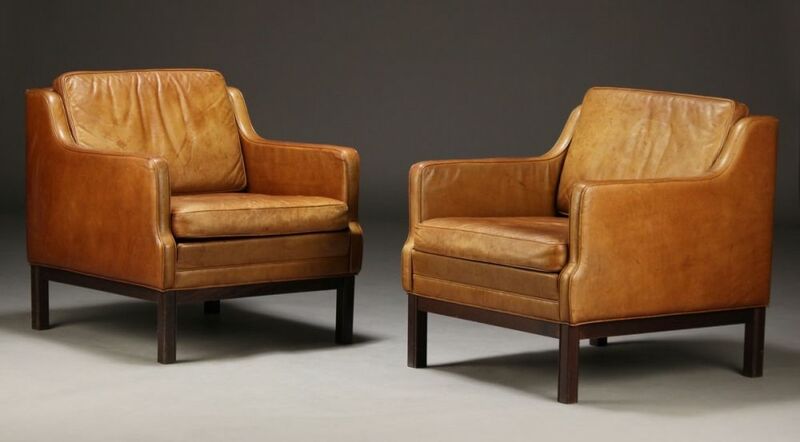 Although the design is modernist, the lines and colour are classic and therefore they would fit well in a traditional setting. The measurements are approximately 71 cm wide, 75 cm deep and 76 cm high. The seat is at 42 cm.